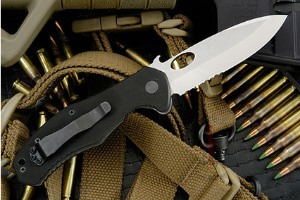 The CQC-10 represents what Ernest Emerson describes as a straightforward, go-ahead design. 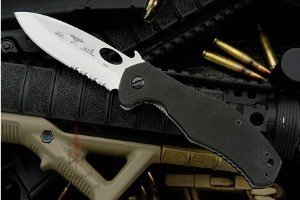 It feels great in the hand and features an aggressive spear point blade profile. This knife gained fame as the official, "real" knife of H&K firearms and is now in the hands of users all over the globe. No matter what grip style it is held in, it is securely and comfortably fixed in position. 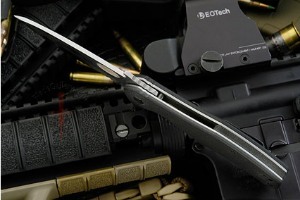 The deep choil guarantees the hand will not slip up onto the blade. 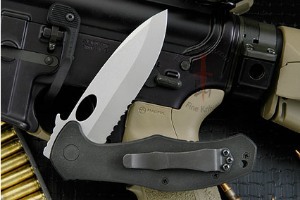 This model represents a great choice for both military and law enforcement because of its true utilitarian design. 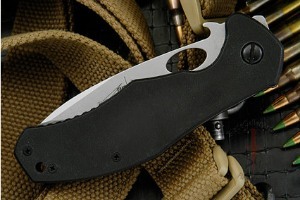 A great blade coupled with legendary Emerson ergonomics results in a knife that will perform - no matter what the task. 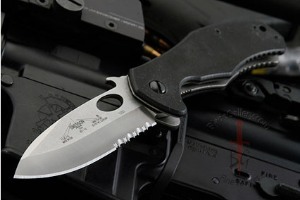 The Emerson Wave puts the CQC-10 into play as fast as the user can get it out of their pocket! 0.25 0.078125 250 78.125 Trailer Started. 0.59375 0.34375 593.75 343.75 Trailer Completed.